“Johannes Hevelius and His Gdańsk”. Due to the book promotion in London Baltic String Quartet is going to play the concert organized by Gdansk Friends of Art Society. The art exhibition during the concert shows works of 30 gdansk’s famous artists. The Exhibition’s curator is prof. Marek Model – Gdansk Academy of Art. 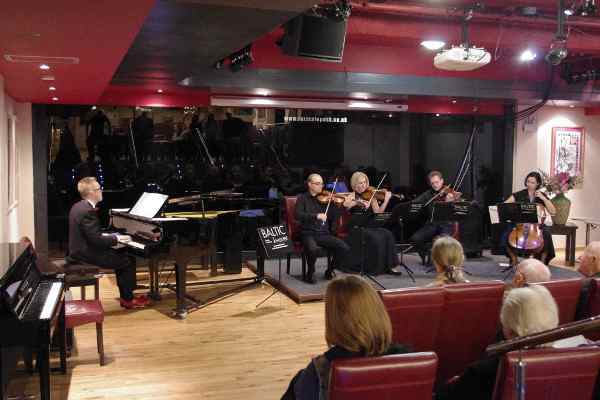 The concert will take place on 27 september 2014, 16.30h, Jazz Hall of Polish Social and Cultural Association Ltd. 238-246 King Street LONDON W6 0RF. For more details please visit POSK site.